Once again we would like to invite you to come to York to the annual UK Pastors’ and Leaders’ Conference. 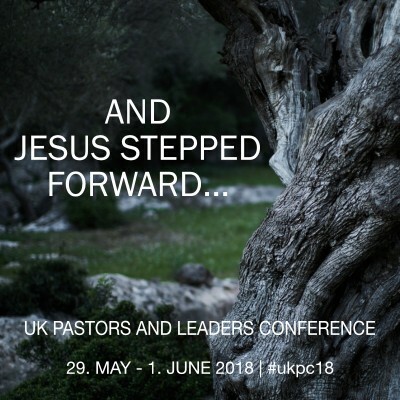 The topic of this year’s conference is “and Jesus stepped forward…”. We pray that this will be seen especially during the teaching sessions and that people will be encouraged through the conference. Food tickets will be available to purchase for the “Food and Fellowship Meals”. If you want to have a look for accommodation close by, http://www.visityork.org/book/ is a good starting point to see what is available. The information and registration desk will open on the 29th of May at 2pm. Upon arrival please make your way towards the reception and you will find friendly people that will direct you into the right direction. The conference will open with a BBQ and fellowship time at 6pm. The main teaching sessios will take place on Tuesday and Wednesday. The conference will close on Thursday lunchtime. The conference costs £25 per adult for the whole conference and £10 each for the first two children, further children go free. If you are planning on coming to the conference for just a day we would appreciate a donation of £10 for the day. Any payments can be made upon registration. During registration you will be also able to purchase food tickets for the meals during the conference. If you would like to pay by cheque please make it payable to Calvary Chapel York. We also offer payment by card. If you are struggling to raise the funds for the conference or the accommodation, don’t let this hold you back from coming. Please pray about it and get in touch with us and we will see what arrangements can be made. Please note: We are not in a position to issue visa sponsorships for anyone who would like to attend from outside the UK! If you want to register your family members also, please fill in the fields below. Do you have questions or comments about the registration? Please use this form for that!